than just spiteful, hypocritical mendacity. Not a small part, if not indeed the majority, of China's griping could be out of simple envy. That Japan has done nothing with its plutonium except burn it in its civilian nuclear power reactors in MOX form seemingly (likely) does not affect Chinese sentiments on the issue. 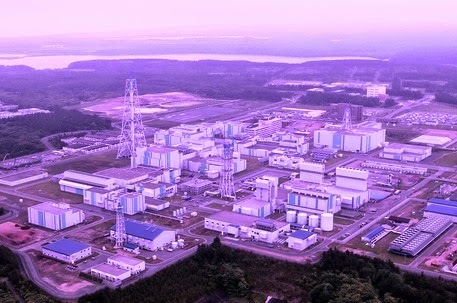 Original image of Rokkasho Reprocessing Plant courtesy NBC News.